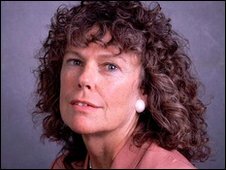 The Labour MP for Vauxhall, Kate Hoey, has demanded a Labour local election leaflet for her constituency be shredded after the local party made up quotes from her. The leaflet claims that Hoey is backing local candidate Nigel Haselden but she describes this as a "fabrication" and "work of fiction". I value honesty and integrity. I did not write these words and do not agree with them. The quote attributed to me was not approved and is a total work of fiction. I asked for the leaflets to be withdrawn as soon as I found out. I think that the public have a right to know when something goes into an election leaflet that is not accurate and I would have expected to be asked, rather than having quotes made up on my behalf.